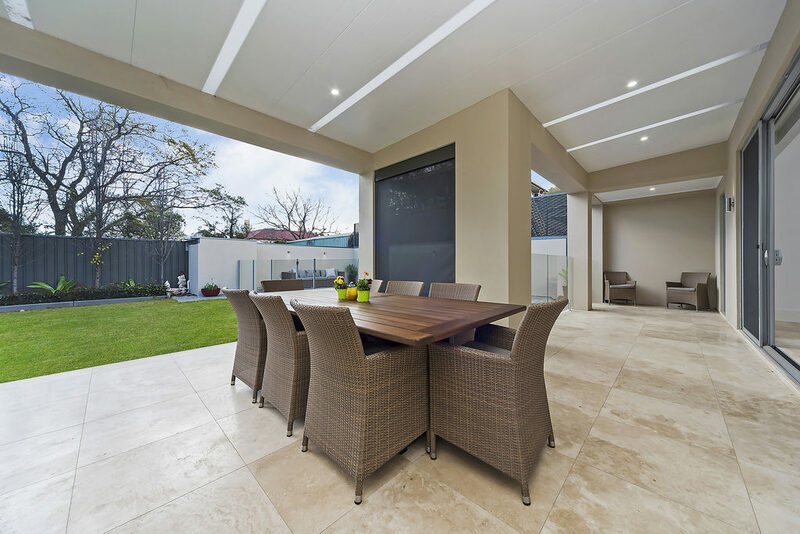 A contemporary covered alfresco area can create a seamless inside and outside home integration. Choose from high grade steel or opt for Aluminium roofing for ultimate environmental protection. Shademaster Aluminium roofing panels provide total peace of mind for coastal and wet area environments as it will not rust. 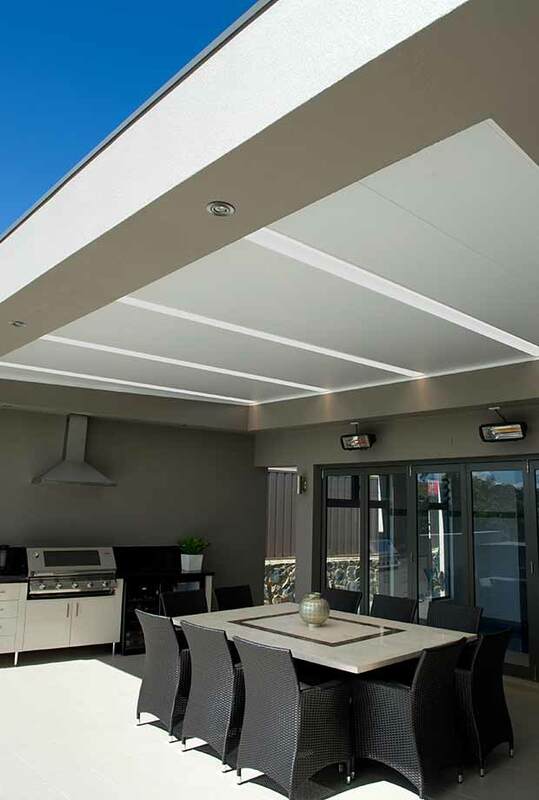 Expand your home living area with a premium Shademaster alfresco. Alfresco areas are a beautiful home addition allowing you to make the most of your space for entertaining friends and family outdoors. Enjoy entertaining all year round in the comfort of your very own custom designed alfresco area. 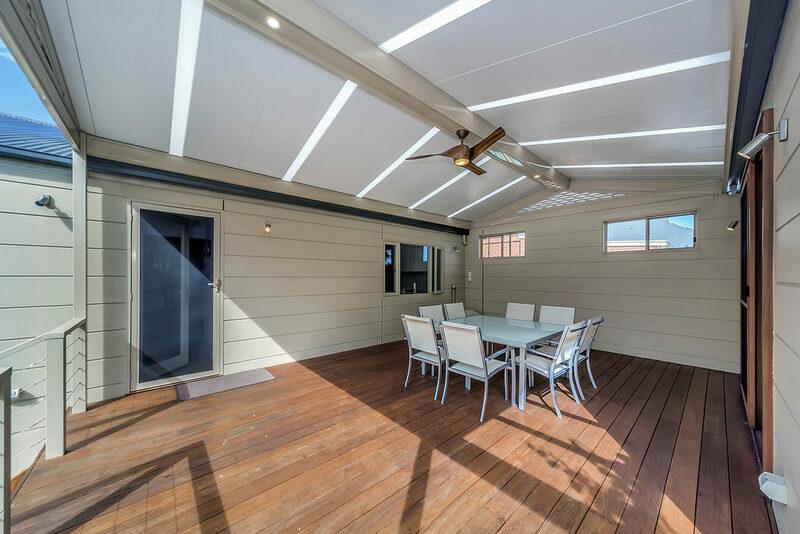 We provides different roofing styles to suit your outdoor space; select from a gable, skillion, flyover and gable and skillion combination structure. 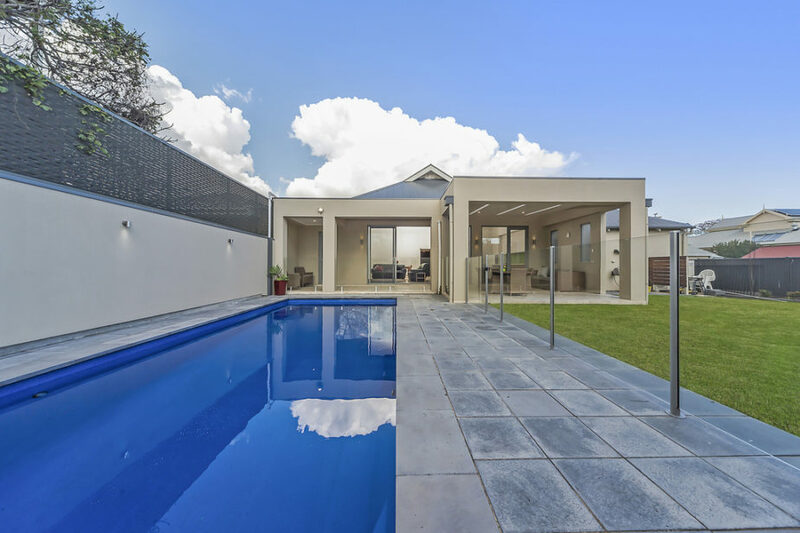 Customise your alfresco to suit your home lifestyle. Select from insulated roofing for energy efficiency, or single skin roofing for durability and bright spaces. 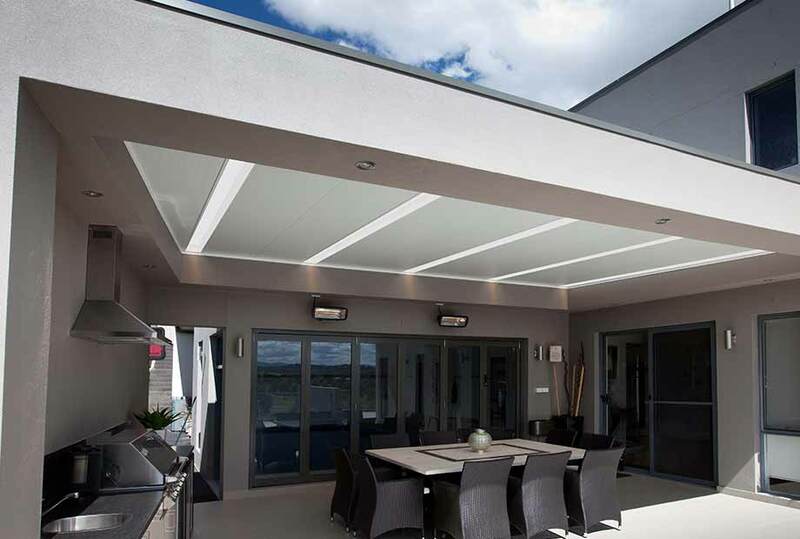 Our authorised Shademaster dealers are experienced in designing and installing tailor made outdoor alfresco areas to add value to your home.